IOT Group Limited (ASX: IOT) announced today that its subsidiary OTT Premium Pty Ltd (OTTP) has entered into an exclusive Asia Pacific Licensing Agreement with Xstream, a leading provider of over-the-top (OTT) solutions, to license, sell and market Xstream’s OTT Platform, Xstream MediaMakerTM throughout the Asia Pacific region. Xstream is a is a tier 1 provider of OTT solutions and is considered a pioneer in OTT and TV Everywhere services and has been operating since 1999, working with world-leading operators, broadcasters, media companies and content owners. Its cloud-based OTT Platform, Xstream MediaMakerTM simplifies the complexity of Internet TV, which looks to be overtaking traditional television viewing, especially with the rise of Netflix, Stan and other streaming services. Over-the-Top (OTT) applications and services are the platform that delivers streaming and video-on-demand services to use on mobiles, tablet, web, smart TV, set-top-box and consoles and mobile devices at a lower cost. OTT Premium now powered by Xstream will provide leading telcos, broadcasters, TV & film production companies and content owners with an OTT platform delivering content that can be viewed on multiple devices and languages worldwide direct to the audience. OTT Premium hopes to partner with the biggest players in streaming, content provision, cloud storage, analytics, billing gateways and application development to provide a complete end-to-end content delivery solution. Bob Morrison, managing director of Xstream since 2015 will be joining the OTT Premium team in the same role. Mr Morrison is a known business strategist and respected industry leader bringing with him over 25 years of entertainment, media, television, content and OTT experience. One of OTT Premium’s first clients in the APAC region will be Intervision, a B2C that brings homeland television to its viewers via the OTT Premium platform. Intervision caters to the Arabic, Greek and Russian speaking communities with the view to expand its product offering. 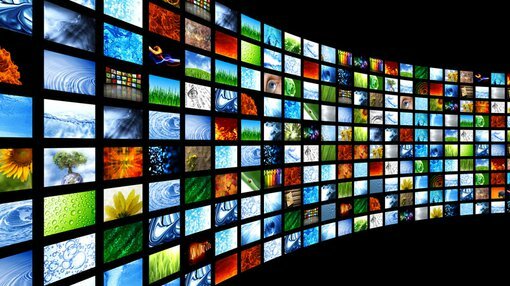 OTT Premium plans to be a prominent player in the OTT TV and video space. 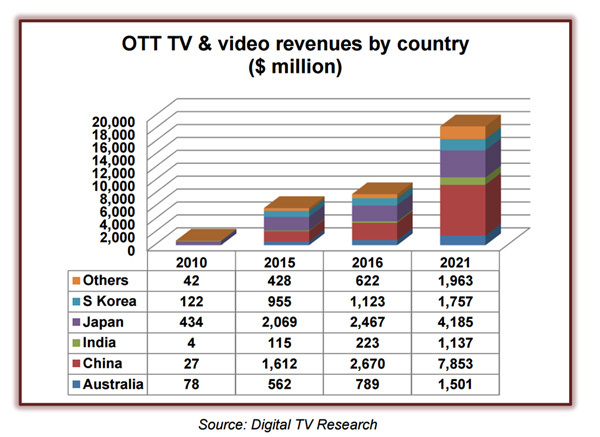 In general terms revenue from advertising on OTT sites is expected to triple across the Asia Pacific reaching US$ 8,745 million in 2021 up by US$ 6 billion in 2015. China will supply US$4,911 million of the 2021 total and will add US$1,838 million in SVOD revenues between 2015 and 2021, nearly sextupling its total. Under the terms of the Agreement, OTTP will be granted an exclusive license to sell, market and license all Xstream products and services, including Xstream MediaMakerTM and its portfolio of affiliated products including all developments and products. The license will be for an initial term of 3 years with an option to renew for an additional 3 years at OTTP’s option subject to agreed KPIs.